Referred to as four Hindu religious sites in Uttarakhand, India. 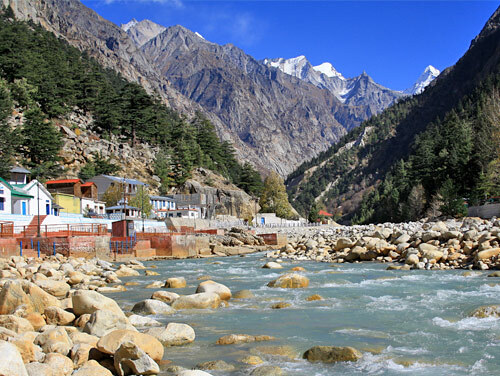 These religious sites are named as Yamunotri, Gangotri, Badrinath, and Kedarnath. These are 4 abodes in the Himalayas which are collectively referred to as ‘Chota Char Dham of India’ & popularly known as “Char Dham Yatra”. Hence, it is commonly the Gateway to meet the Omnipresent, Omnipotent and Omniscient. In simple terms, Char Dham conveys the presence of 4 sacred abodes. It has got a great significance in Hindu religion. 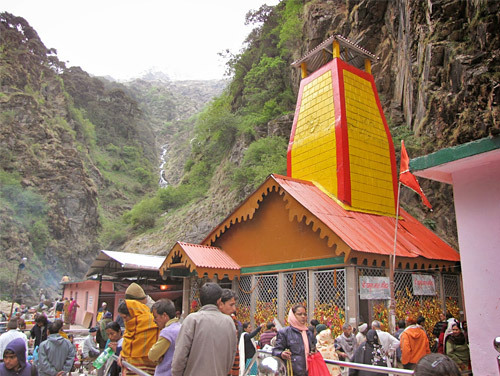 Every year more than 250,000 pilgrims visit Char Dham throughout India. It is also growing very popular among foreign tourists, who are blessed to see the heavenly beauty of the Himalayas with a chance to know more about India’s culture. One of the most popular pilgrimage travel destinations with millions of devotees paying homage to all these religious places in aspiration of removing sins and to attain salvation with the blessings of God. It can be covered easily in almost 10 – 12 days. Nowadays, helicopter services are also for travelers to visit Char Dham in just 2 days. Contact us to customize CHAR DHAM YATRA TOUR Tour as per your arrival dates and convenience. On the very first day of your religious Yatra, arrive Delhi Airport. Then, drive to Haridwar & take lunch. Later transfer to your Hotel where you arrived to stay. 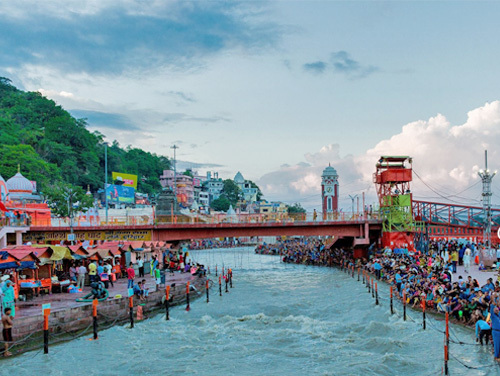 Visit Har-ki-Pauri for the religious and the most sacred Ganga Aarti in the evening. Then, back to the hotel & dinner. After having breakfast drive to Barakot via Dehradun & Mussoorie. Enroute visit to Kempty Fall and others later drive straight to your hotel for night stay. From here, trek start to Yamunotri. Later drive back to Barakot and overnight stay at the hotel. In the morning after breakfast, drive to Uttarkashi & visit Vishwanath Temple. Check in to hotel and night stay. Then we proceed to Gangotri & enjoy picturesque Harsil village, Bhagirathi river and the most magnificent vie of the Himalayas. After Gangotri Darshan, we return to Uttarkashi. Overnight stay at Uttarkashi. Leave for your next destination, Guptkashi after having breakfast early morning. Check in to the hotel. Guptkashi is located at 47km from the holy shrine of Kedarnath. Have dinner and stay overnight in the hotel. Kedarnath temple is the holy shrine of Lord Shiva which houses one of the 12 Jyotirlingas in India. The temple lies at a distance of approximately 500m from the helipad. Take Helicopter at Kedarnath helipad and come back to Guptkashi . 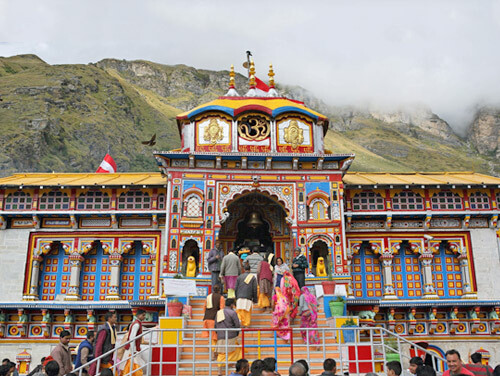 This morning, check out to the hotel and drive to Badrinath. Early morning, after having a bath in the Taptkund, pilgrims have Darshan of Badrivishal. 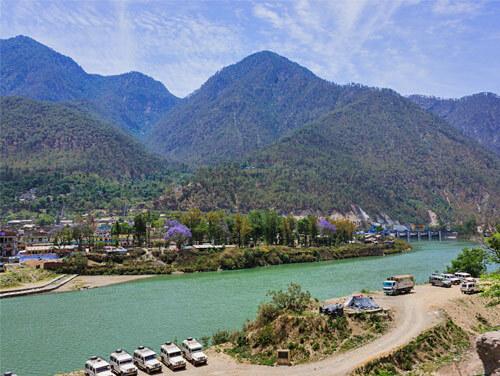 There are other sightseeing interesting spots like Mana, Vyas Gufa, Bhimkund, Matamoorti and the ‘Mukh’ of Saraswati River.Later, drive back to Rudraprayag. Overnight stay in Rudraprayag. Early morning after breakfast, head on to downhill to Rishikesh, a spiritual city and ‘Yoga capital of the world’. On reaching here, go for sightseeingvarious temples. Evening drive to Haridwar. On arrival, check in to the hotel and an overnight stay. Early morning, visit Rudraprayag, Rishikesh and local jhulas (Laxman Jhula, Triveni Ghat, Parmarth Niketan, and Shivananda). After lunch, drive back to Haridwar. Check in the hotel and overnight stay. The morning after breakfast then drive back to Delhi. Transfer to Airport. Proper planning and time management is really essential to help control the crowd & to avoid the accidents. Take care of your children while you visit any of the religious places as you can loose them in crowded areas. Book a hotel or a room a month prior to the trip. Don’t take rest at places where warning signs are fixed. Also, do not attempt short cuts on the route. Most importantly, ensure that you are physically & mentally fit to perform the journey as the yatra involves trekking at an altitude of about 14,000 ft. So, get yourself medically examined before going to the sacred journey. Move slowly & steadily while maintaining discipline. Make a happy journey to Char Dham Yatra! Contact us to customize Char Dham Yatra Tour 2019 Tour as per your arrival dates and convenience.